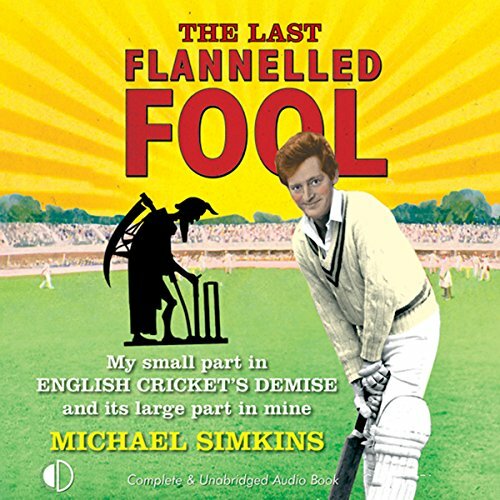 Michael Simkins is the ultimate Sunday cricketer - passionate, obsessive, technically inept and hopelessly deluded. When an injury rules him out, he decides to set off on an odyssey across the counties of England. It's a journey that begins at the birthplace of cricket, takes in the burial site of his favourite ground and even stops along the way to flirt with the love child of WG Grace and Kerry Katona that is Twenty20. It ends with the ultimate cricketing zenith - returning to the field of play to bowl an over to Freddie Flintoff in fading light in front of a capacity crowd. So can cricket still bring comfort and meaning to his life or is Old Father Time about to call for Michael's bails?